From the floor of the Owens Valley, south of Bishop, California, to the tallest peaks of the Eastern High Sierras, the actions of water and ice have formed an ever-changing landscape of remarkable contrast. This spectacular mountain country is where Bob Tanner has spent most of his adult life as a packer, pack station owner, and mule man. 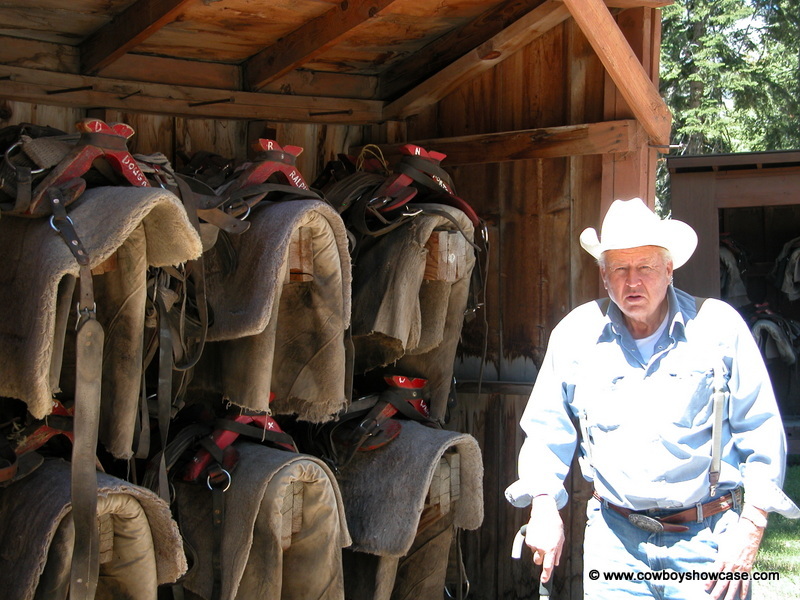 Bob and his Red’s Meadow Pack Station are known throughout the world. Since 1960, Bob and his packers have taken state governors, U. S. Government dignitaries, movie stars, and people from all over the world on pack trips. Bob is permitted to operate in a 175-square mile area of mountain wilderness in Yosemite National Park and The John Muir Wilderness Area. 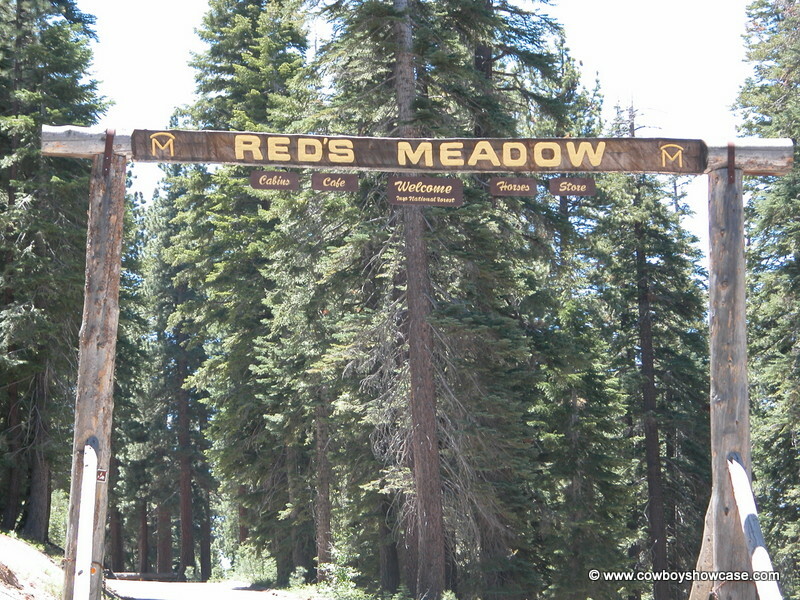 The Red’s Meadow Pack Station, where Bob packs out of during the summer months, is located near Mammoth Lakes, California. During the early part of June 2004, we traveled to Bishop, California to meet Bob at his winter home. 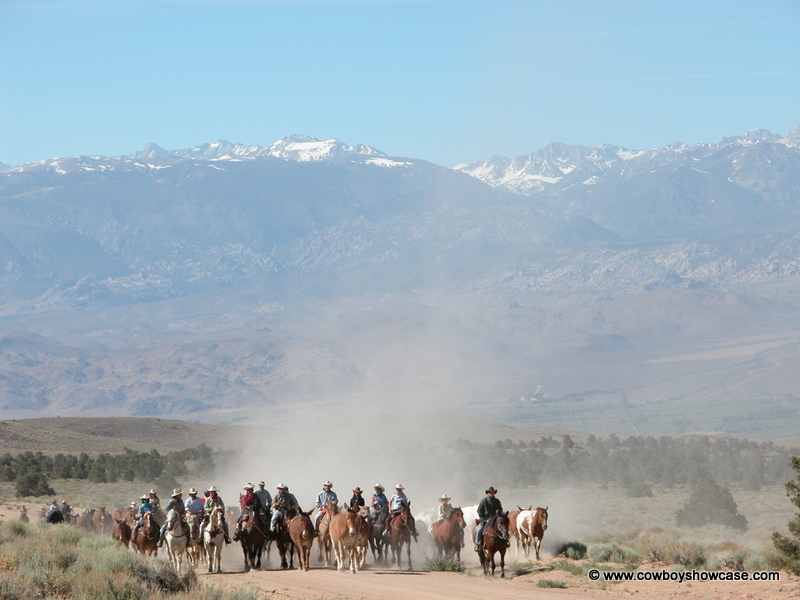 Bob’s ranch crew had gathered Bob’s horses and mules from where they had wintered out on 5,000 acres of pasture in Owens Valley. Over 100 horses and mules were to be driven by wranglers and paying guests on horseback during a 3-day drive from Bob’s ranch west of Bishop to Mammoth Lakes. We were invited to come along on this drive. After Bob graduated from College, he put in a hitch as an officer with the US Navy during the Korean War. After his discharge he tried coaching athletics but then drifted back into the packing game. There was lots of mining activity going on at that time in Inyo County. Mules were a very important part of the mining operations, as most of the supplies and ore need to be packed in and out of the High Sierras. There were few roads in this mining area. There were a lot of packers operating in this county. Bob had some very interesting observations concerning mules. “Mules in California, as time went on, became smaller. 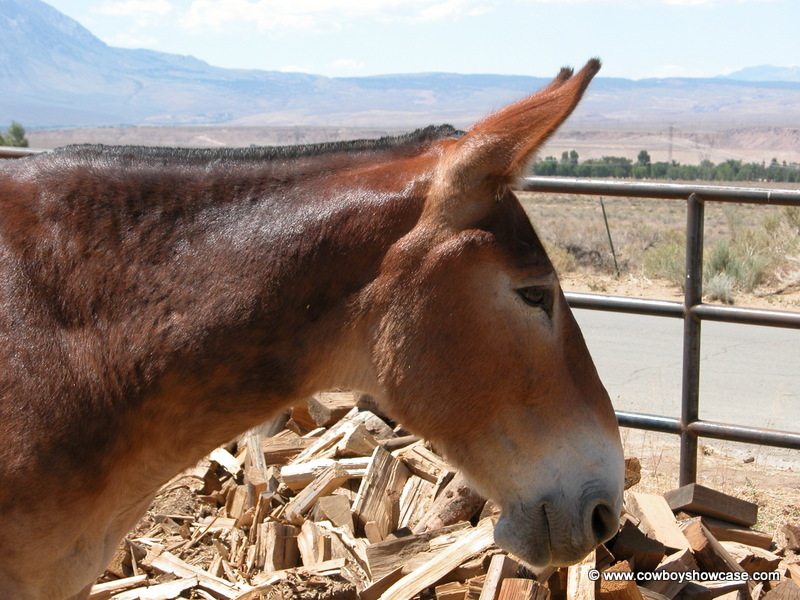 There were very few mules used for farming or mining any more, so there was not much demand for big mules. We needed to find a source of draft-cross mules and started looking in the southeastern United States where mules were still used to pull a plow. We found a source for Belgian draft-cross mules in Tennessee and have been purchasing our replacement mules there ever since.” “There is a fine line between a big mule and an athletic mule. You do not want a mule that is too tall because everything you place on its back you need to lift up. Thoroughbred-cross mules will not work. They are too nervous and high strung. Bob said about the type of pack gear used, ”I have used all types of pack gear through the years. This Sierra country is sawbuck packsaddle country. We use sawbuck pack saddles and ”manatee “ our loads lashed down with a lash cinch. We also use packsaddles that have large leather pannier bags. These bags will outlast the canvas type bag and are larger. We have these special made. In recent years, due to Federal regulations, we have gone to bear-proof metal boxes for use in storing food in the backcountry. These boxes have been tested in a zoo using real live bears to do the testing. We have a metal frame attached to the sawbuck packsaddle to slip these metal boxes into. They are easy to carry and fast to load and unload from the packsaddle. Bob Tanner is one of the largest providers of livestock for the Rose Bowl Parade in Pasadena, California each year. Bob’s mules and horses carry dignitaries and government and State officials down the parade route in this large parade. In 2003, Secretary of the Interior Gale Norton rode one of Bob’s mules. 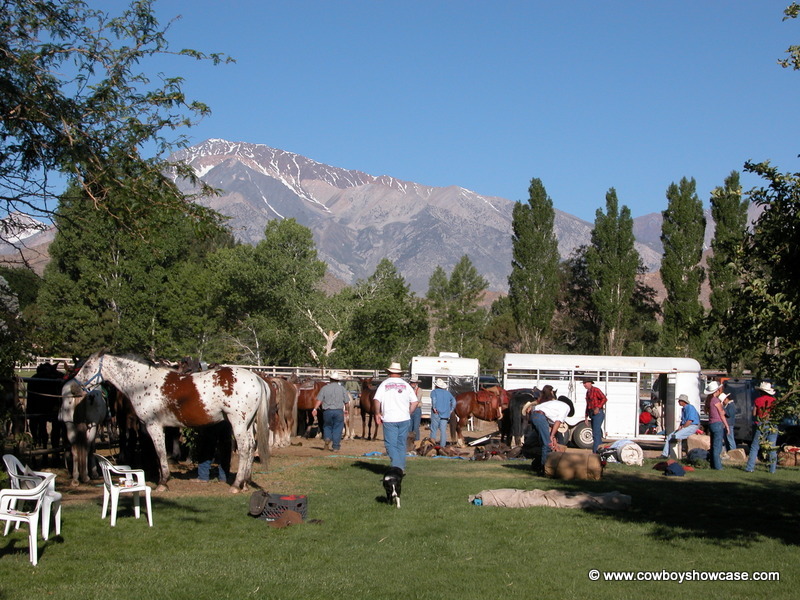 Bishop Mule Days:Beginning in 1970, Bishop, California has held a Bishop Mule Days celebration over the Memorial Day weekend to present the world’s largest and best celebration of the mule. Bob Tanner played a big role in starting this event. Here is what Bob had to say about Mule Days. “During the summer of 1969 Leo Porterfield, a mule man, and I had a discussion at Red’s Meadow. We were discussing mules and great memories of pack station life.” Bob said to Leo, ”Wouldn’t it be great if more people could see what really goes on at a pack station.” Leo agreed and said that there was beginning to be a lot of interest in mules around the country and a number of outstanding mules were being raised. This meeting led to the formation of a mule committee composed of eight mule men from the Bishop area. The winter of 1969 was a big snow year in the Sierras. There was still snow on the trails in the high country in August. The packing business was tough and packers needed something positive to show their bankers. 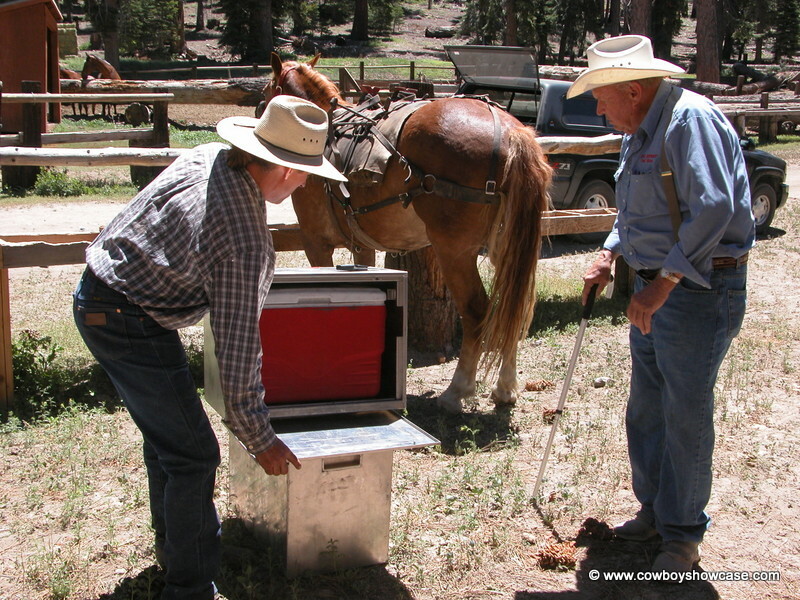 The Mule committee decided they would bring to town some of the hilarity of a pack station, some fine mules, and the packing and shoeing skills of the packers that worked in the Sierras. There was no event scheduled in the Bishop area over the Memorial Day weekend at that time, so this date was open. Perhaps the general public would come and see the show. Bob Tanner and others started to solicit donations from Bishop merchants. These donations helped pay for trophies, ribbons, horseshoes, and posters for this event. Mule Days has grown from this small start to a premier annual event attended by people from all over the world. 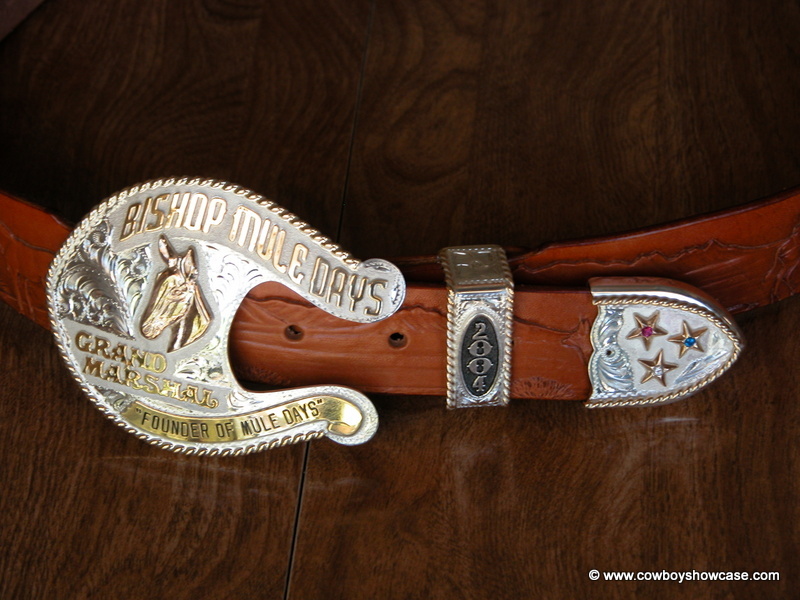 There are now plans underway to have a Mule Days Museum and a Sierra Packers Heritage Center build in Bishop. Bob Tanner is also involved in this effort. The morning following our visit with Bob, we came back to the ranch. Wranglers were busy loading camp gear, food, and feed into stock trucks. The guests were beginning to arrive. They placed their personal gear in a place where the wranglers could load it on the trucks. When everything was ready, the wranglers started mounting the guests on their assigned horses. Over 100 mules and horses had been placed in a large holding corral. When everyone was mounted up and stationed on each side of the corral gate, one of the wranglers on the ground opened the gate. Out came the horses and mules on the run. The guests fell in behind Ottie Bear, Trail Boss, who has been leading this ride for over 20 years. When last seen, this group was headed for the mountains in a cloud of dust. The first night’s camp was at a spot called Casa Diablo. The camp consisted of a wire corral, but no water. This place had at one time been a range sheep camp. Soon the water truck showed up. Water tanks were unloaded in the wire corral and hay was spread out. A kitchen commissary arrived and the cook began to put her kitchen together. A large portable grill arrived to barbeque steaks and chicken. Tables and chairs were unloaded near the commissary. Tents were unloaded for the guests to put up when they arrived. Last but not least, a portable shower wagon showed up and was set up. The whole operation was set up in less than an hour. We had a feeling that Bob’s camp crew had done all of this many times before. We drifted down country to watch the drive coming in to camp in the late afternoon. Everyone was still on their horses and the guests were having a great time pushing Bob’s horses and mules along the trail. When the drive pulled into camp, the loose horses and mules were put in the wire corral on water and feed. The wranglers and guests unsaddled their horses and placed them inside the wire corral as well. The guests started setting up their tents and finding their personal gear. Before supper was called, the guests used the shower wagon to take some of the trail dust of their bodies. This shower wagon was a high spot of their trip. Bob Tanner arrived and visited with everyone. The barbecue grill was started and a great meal was prepared. Everyone went to bed early tired out from a hard day in the saddle pushing mules and horses up the trail. Day two of the drive started out after a hearty breakfast. Horses were saddled and the Trail Boss headed them out. The first day had taken the edge of the horse and mule herd and they were easier to handle on the trail. The destination was a water storage reservoir named Crowley Lake. We headed out with the camp wranglers and followed them to the lakeshore where we helped set up camp. The same procedure was used setting up camp as the day before. The water truck showed up and water tanks and hay were placed in a wire trap where the horses and mules would overnight. In mid afternoon, we spotted riders and the loose horses and mules on the ridge above camp, headed our way. They came down a rocky hillside and into the wire trap. Horses were unsaddled and the guest set up their tents and used the shower wagon once more. Bob Tanner showed up and visited with everyone. The guests had exciting stories to tell about their second day on the drive. We had another outstanding dinner and retired to our beds. The next morning we left camp and headed for Mammoth Lake to meet Bob. The drive would take the mules and horses to corrals in Mammoth. Then they would be trucked the rest of the way to Red’s Meadow that afternoon. We met Bob in Mammoth and drove with him to Red’s Meadow Pack Station. Along the way, Bob told us some history of the area. Settlers who raised garden supplies for the miners working in this area during the l930’s had originally built at the pack station site. After the mining in the area closed down, the location was turned into a pack station. Bob has been the owner since 1960. Bob gave us a tour of the facility and you could sense the pride he has in his professional operation. There is no way to tell in print the amount of effort that this man has put into this operation in the last 40 years. Regrettably, Bob Tanner passed away in December 2015. 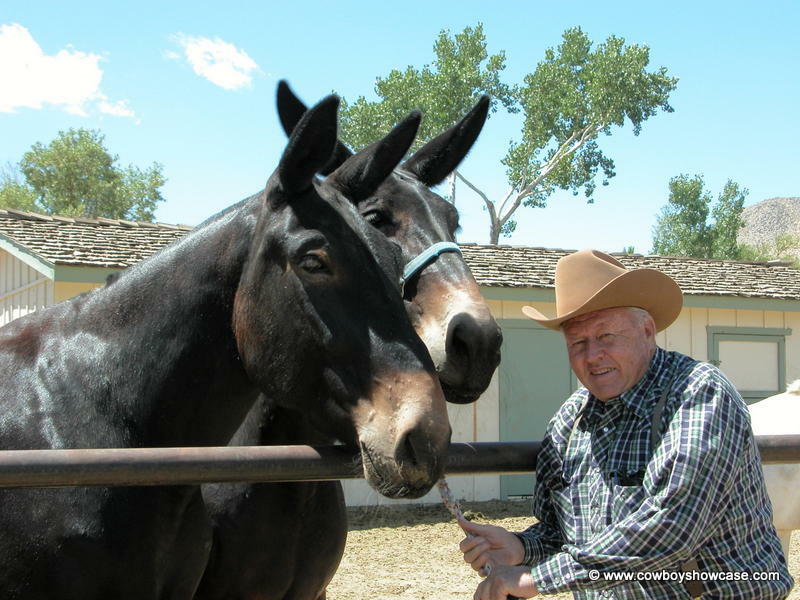 Those who wish to do something to honor his memory are urged to contribute in his name to the American Mule Museum.